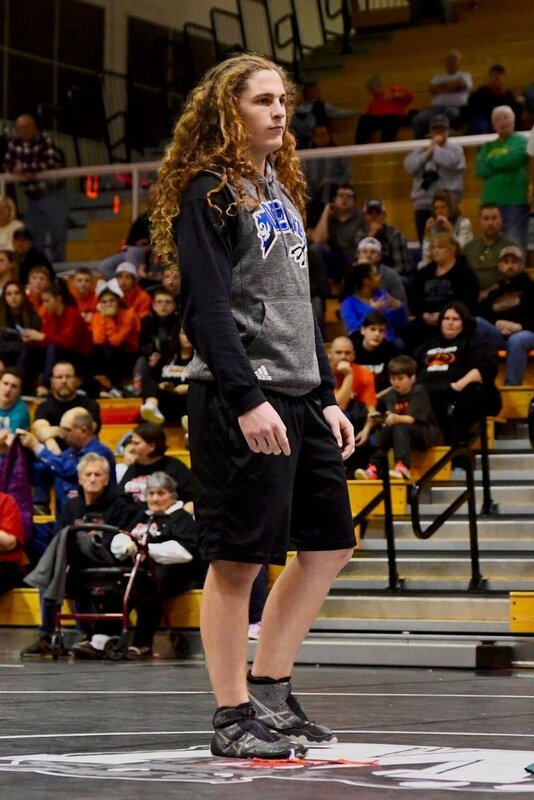 Tipton’s KJ Roudebush placed 3rd in the New Castle Semistate to advance to this weekend’s state finals at Bankers Life Fieldhouse in Indianapolis!! Congratulations and Good Luck, KJ! Tipton High School Wrestling Team also has their champion. KJ Roudebush was the Sectional Champion in the 192-pound weight class. That qualified him to compete in regional action this past weekend. Teammates Eli McGuire (106), Blake Hicks (145), Wade Robey (220), and Nate Morgan (285) joined him in regional competition. KJ was runner-up in the regional, qualifying him to return to the semi-state tournament this Saturday. Congratulations and good luck at Semi-state.